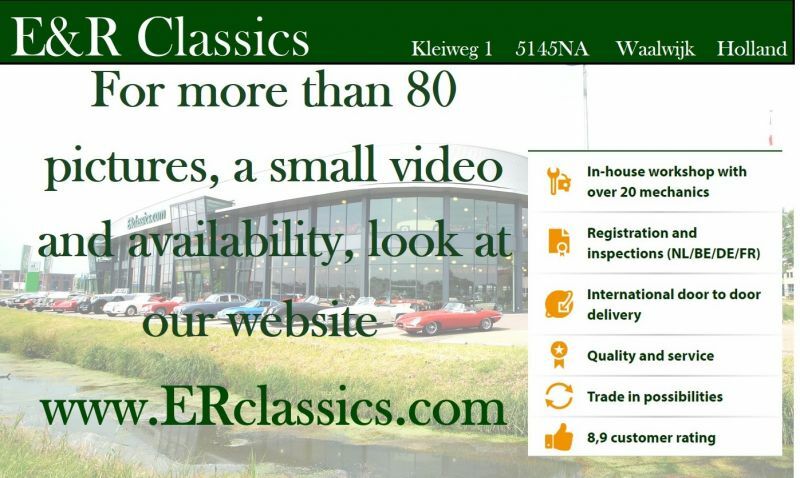 1983 Mercedes-Benz 280SL for sale - Classic car ad from CollectionCar.com. 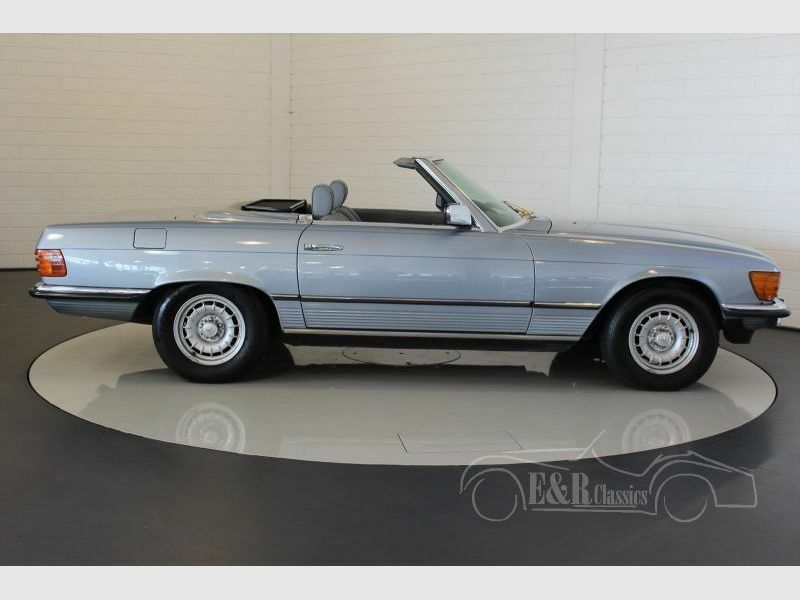 The Mercedes-Benz SL R107 is a German sportsconvertible and was the successor of the Pagode back then. 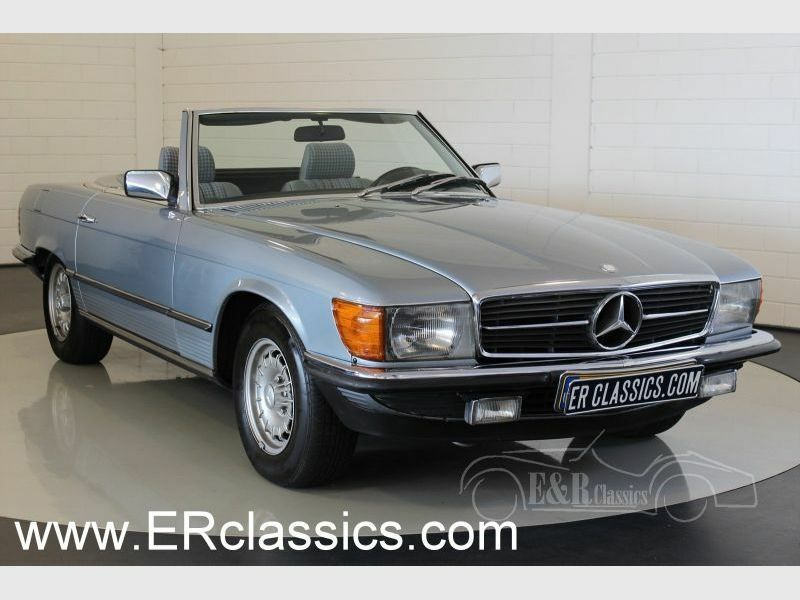 This is a 1983 SL 280 cabriolet. It is an european version. 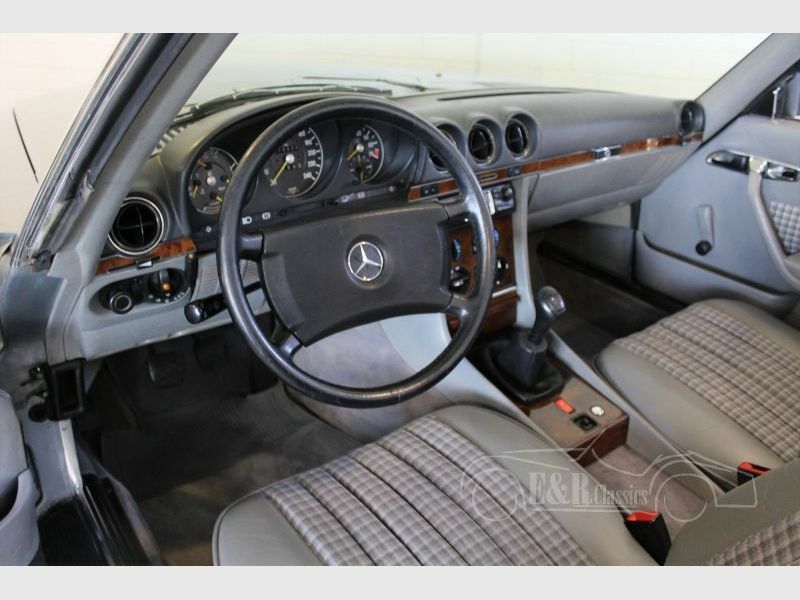 Both the in- and outside are in a beautiful condition.The paint is in colour grey metallic, original rims, half leather interior with woodparts in the dashboard. The car has the reliable 6 cyl engine and 5 speed manual gearbox. The car is in Holland since 1993. 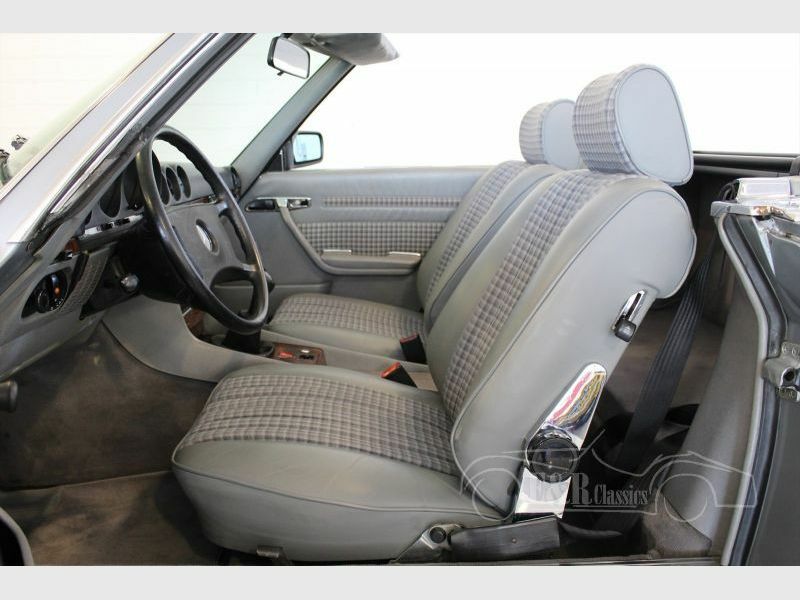 The car also has a blue mohair softtop and an original hardtop. 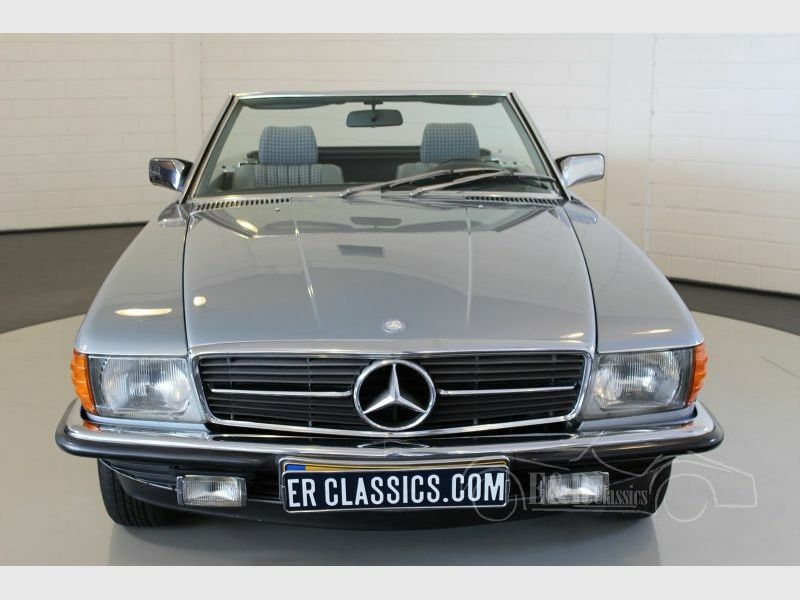 So a very beautiful and technically in very good condition Mercedes-Benz SL 280. 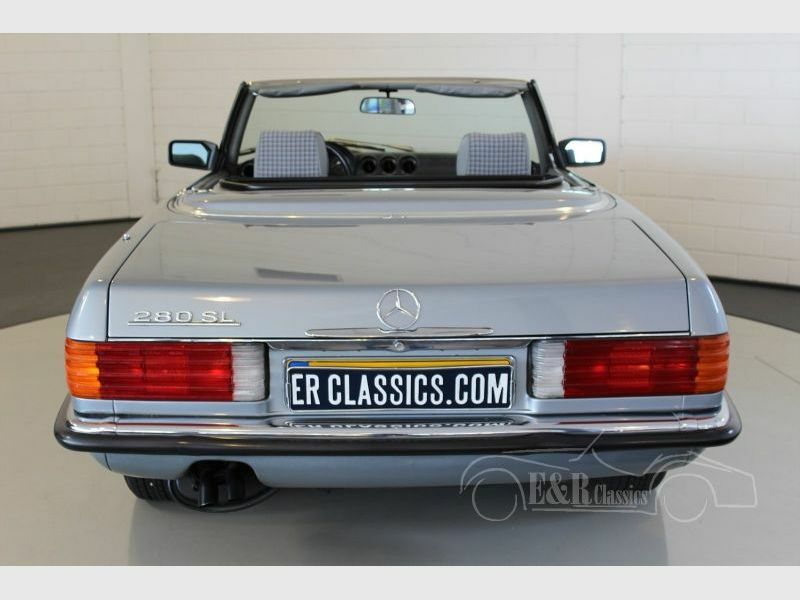 Der Mercedes-Benz SL R107 ist einen Deutschen Sportkabriolett und war damals den Nachfolger des Pagodes. Dieser SL280 Kabriolett ist aus 1983. Innen- und Aussenseite dieser Europaïsche Ausführung sind in fabelhaftem Zustand. Er hat graue metallic Lackierung, originale Felgen und halbleder Innenausstattung mit Holzteile im Armaturenbrett. Er hat den 6 Zyl Motor und 5 Gang Schaltgetriebe. In Holland seit 1993. Er hat blaue mohair Softtop und originalen Hardtop. Also einen SL280 in Topkondition. 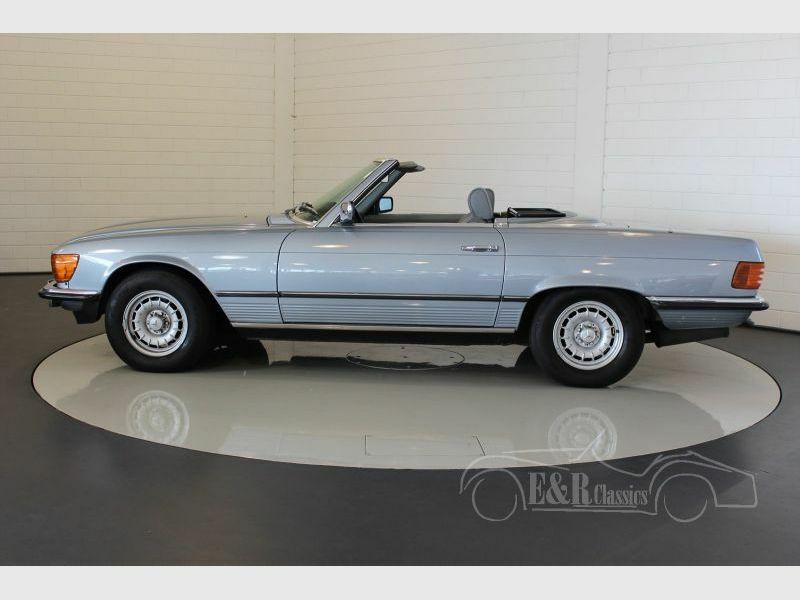 Mercedes-Benz SL R107 est une cabriolet de sport Allemand et etait le successeur de Pagode. Cette SL280 est de 1983. C’est une version Europeenne. Interieur et exterieur sont en etat formidable. Peinture en couleur gris metallisé, jantes d’origine en interieur partiellement cuir avec des parties en bois au tableau de bord. Voiture a moteur fiable de 6 cyl et boite manuelle de 5 vitesses. En Hollande depuis 1993. Voiture aussi a mohair softtop bleu et hardtop d’origine. Une SL280 en etat parfait.